주목은 우리나라, 일본, 만주, 우수리, 소련 등지에 분포하고 있는 상록 교목으로, 우리나라에서는 소백산·태백산·오대산·설악산 등 높은 산악지대나 추운 지방에서 주로 자라며, 나무의 모습이 아름답기 때문에 정원수로 많이 쓰인다. 큰가지와 줄기는 적갈색이며, 4월에 개화하고 9∼10월에 붉은 열매가 열린다. 목재는 바둑판, 목공예품 등 세공품을 만드는 데 많이 사용하며, 열매는 식용 및 약용으로 쓰인다. 정선 두위봉 주목 3그루는 사북면 소재지로부터 2㎞ 거리의 도사곡 휴양지에서 두위봉으로 가는 등산로를 따라 5㎞ 정도 오르면 능선부에서 만날 수 있다. 세 그루가 위아래로 나란히 자라고 있는데 중심부에 있는 나무의 수령이 1,400여 년으로 추정되며 상부의 주목은 1,200여 년, 하부의 주목은 1,200여 년 가량으로 추정된다. 정선 두위봉 주목은 수형이 아름답고, 산림청 임업연구원의 생장추 측정에 의한 수령감정 결과 수령이 1,200∼1,400여 년으로 추정되어 주목으로는 우리나라에서 가장 오래된 것으로 매우 보기 드문 희귀한 것이며 학술적 가치가 크다. 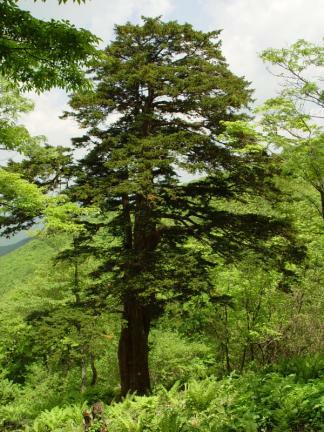 The yew tree is an evergreen tree that grows in Korea, Japan, Manchuria, Ussuri River basin in Northeast China, and Russia. 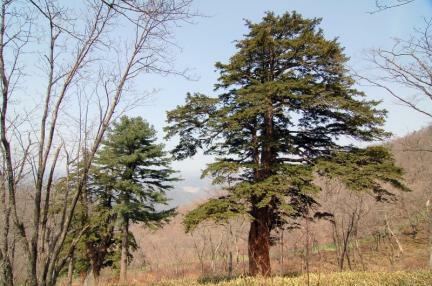 In Korea, it mostly grows in cold, high, mountainous areas such as Sobaeksan Mountain, Taebaeksan Mountain, Odaesan Mountain, and Seoraksan Mountain. 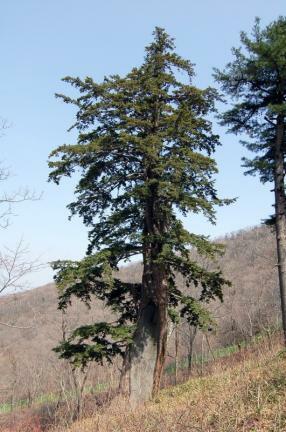 It is a popular garden variety for its beauty. 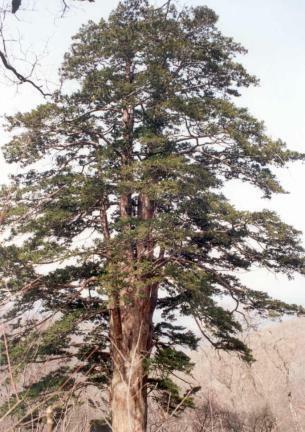 The trunk and boughs are reddish-brown. Its flowers bloom in April, with reddish fruits appearing in September-October. 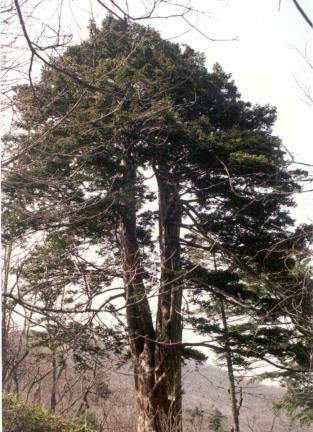 The wood of the yew tree is commonly used for woodcrafts, and handicrafts, whereas the edible fruit is used both for food and medicine. 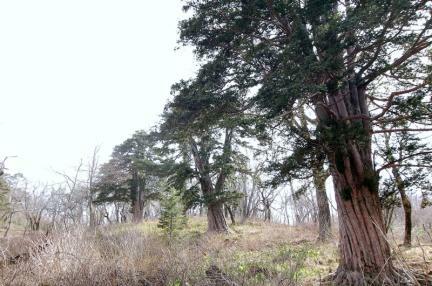 The three yew trees of Duwibong Peak can be reached by following a path of some 7km from Sabuk-myeon. 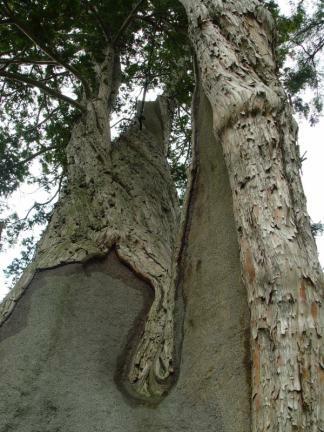 The three trees grow together. 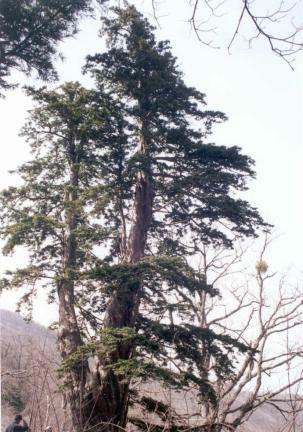 The tree in the middle is about 1,400 years old, while the other two are about 1,200 years old. 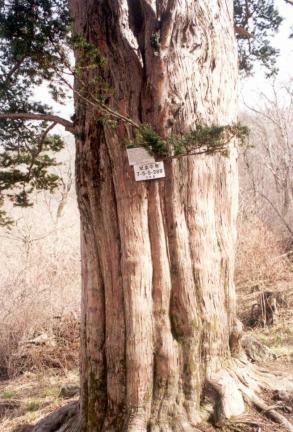 So far, they are known as the oldest yew trees in Korea and gives them rarity and great academic importance.